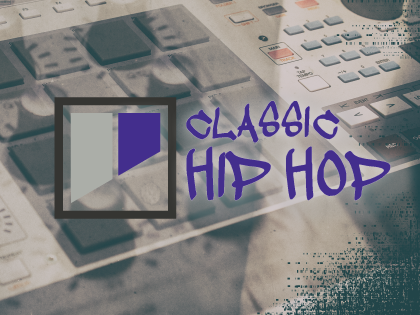 Classic Hip Hop is a Geist Expander featuring authentic old-skool 80s and 90s hip hop sounds. Created by Mr Hoodie from The Groove Criminals, the samples include a comprehensive selection of drum hits, hats, percussion, stabs and noise alongside breakbeats and melodic instrument loops. The story behind Classic Hip Hop is a boombap romcom: a rose-tinted first love affair... with shell toes and beats. Its sounds reflect a purist ethos developed by years of painstaking dedication to the culture. An extensive collection of live musicians, classic synths and drum machines were recorded to tape, processed through ancient 12-bit samplers or pressed onto dubplates and sampled back. Classic Hip Hop is suitable for any styles of music that require authentic hip hop vibes. It features presets for FXpansion's Geist sampling drum machine and its individual samples and loops can also be loaded into any other device capable of loading 44.1kHz, 24-bit WAV and RX2 files.